The New ATV wedge has the All-Terrain Versatility Sole that lets you play all critical shots with one wedge. Play a chip, pitch, flop, sand shot, out of the rough, or off a tight lie, the bounce angle changes depending on how the head and face are positioned. 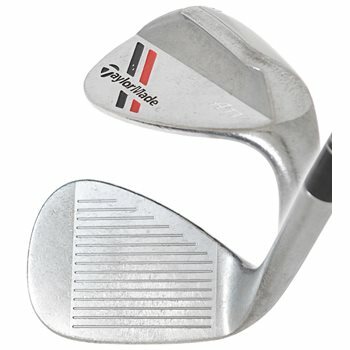 It has a new all-milled groove design and micro-texture across the face that generates more spin within the USGA rules. It features a tour-inspired head shape with a non-plated Tour Satin finish that will rust over time. Review by Andy, 11 months ago. Review by Mike Demco, 2 years ago. Review by Gilly, 2 years ago.